The Marshall County Farmers Market was established in 2005 with a structure being constructed with a grant from Rural Development. This structure was placed at Rock Creek Park on property owned by the City of Lewisburg with in kind labor furnished by the City of Lewisburg. The Market opens the first Friday in July and runs through the last Friday of October each year. Lynn Kouba at the Marshall County Mayor’s Office at (931) 359-1279. The premises of the market shall be kept free from litter and rubbish. Each seller will be expected to clean his/her space before leaving the area. • The market will be open from 6:00 a.m. until 12:00 noon on Fridays. • There will not be any Flea Market or Yard Sale items allowed. • Smoking is not allowed inside the Market. • Selling is not allowed until the market opens. • Any complaint or dispute will be decided by the Farmers’ Market Board. • It is the responsibility of the vendor to obtain any needed business licenses or permits and the collection of any sales tax. • A person may not sell farm and food products unless at least 50% of products offered by that person was grown or processed by that person or under that person’s direction. A product not grown or processed by that person must have been purchased directly from another farmer. A vendor’s farm may be periodically checked by the Farmers’ Market Board. • Any vendors from outside of Marshall County will be charged a $50 fee each time they choose to sale at the market. • Each vendor is encouraged to provide scales of demonstrative accuracy, display racks or tables, sacks, money for change and post prices in full view of the consuming public. • Inappropriate language or behavior, profanity, or other harassment or abuse by a vendor toward another vendor or customer of the market is grounds for immediate and permanent expulsion from the market. 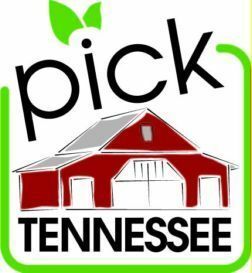 • All types of fresh fruits and vegetables, bedding plants, flowers, potted plants, herbs, honey, molasses, USDA-Certified meat, jams, and jellies can be sold. Live animals are not allowed. All food items must be prepared in accordance with applicable local, state, and federal regulations. Food vendors must submit a copy of their food licenses with their certification. • A vendor may be immediately terminated from market participation if they fail to comply with health department regulations. • All vendors should have liability insurance for their farmers’ market participation and all vendors shall hold harmless the Farmers’ Market Board and the owner of the facility from any legal liability in case of accidents or incidents at the market.